"Buy or Sell Locally - Advertise Nationally"
Most small business owners are not aware of the services provided by brokerage companies in the sale of a business. With the tips below you should be able to get more listings to sell more businesses and also present your listings to prospective buyers who are looking to buy a business. Most sellers, when they decided to sell a business, look for a local broker/agent. They assume that a local broker has a better idea of business in the given area. Hence, the broker can explain things to the buyer in a better manner. However, sellers also look at your current listings and their presentation. Surveys show that brokers/agents who are practiced in professional marketing are more successful than others. You can share your previous successes and explain your marketing strategy with the seller and make him comfortable. Once you have a listing, compile the data, determine the value of the business, consult with other professionals, review it, and finally get a valuation of the business. Next, observe the positive points of the business and prepare the marketing materials which can be words, pictures, audio, video, or all. In the marketing materials, emphasize the salient features of the current business, model of the business, and future growth of the business. The materials should be comprehensive and easy to understand. If possible, have a personal interview with an owner/seller and ask them to share their thoughts about the business to help with the quick sale of the business. A prospective buyer is more comfortable and happy when they receive the seller’s thoughts on the business because they think the seller knows the ins and outs of the business better than anyone else. Besides this, language also plays a vital role in the sale of a business. The only key is marketing, marketing, marketing. All successful sales are marketed by utilizing all available techniques with a high degree of exposure in the given area. Think, can I sell this business without reaching the buyer, or can I sell the business without professional presentation? Even large corporations still do advertising and marketing so as to remind people by repeated exposure. Create confidence in all parties. Check liability areas, where you and your principle may be exposed. 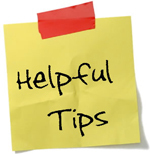 Take extra effort in those areas in a professional way so that the sale runs smoothly. Make all necessary documents available for the buyer. Return phone calls and emails in a timely manner. Make sure the broker or agent you choose is good about getting back to potential buyers promptly. Get all confidential agreements from the other party before releasing vital information. Review the prospective buyer’s financials, pre-approvals, and resume before sending vital information. Once you get an offer, go through the terms and conditions and explain to the seller the terms and conditions. Once the offer is closer to the listing criteria, make negotiations in a professional manner. Arrange a meeting between the buyer and the seller. Always have the seller and buyer meet in your presence or with your authorized agent present. Once the buyer and seller have agreed to the terms and conditions get everything on paper and get signatures of all concerned parties, with copies for everyone. Hand over all necessary documentation pertaining to the business, including full legal disclosures, to the buyer for their due diligence. Coordinate with all buyer representatives and buyer professionals for any kind of necessary investigation. Provide respected licenses and permits for the locations. Introduce the buyer to the landlord to discuss further lease terms, conditions, and options. Once the buyer has successfully completed due diligence and is satisfied with records and documents, open an escrow to fulfill the fully executed contract terms and conditions. Take out all contingencies after successful completion of the contingent works. Ask the buyer to apply for all licenses and permits. 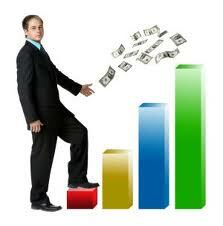 Coordinate with all parties involved in the transactions to fulfill the executed contract. Ask them to read all the papers and approve before signing the documents to change ownership and for the sale of the business. All parties should sign the appropriate documents and documents should be recorded in the appropriate place according to the law. Finally, successfully close the escrow with transfer of ownership. Have enough time: From listing to contract to sell a business. Commission for your service: There is no specific law for the amount, but in reality it is 8% to 10%. Statutory Law: Follow state and local statutory laws. Association: Follow your association rules and regulations. Respect and be loyal to your principles. Empathy: If you were in their position, how would you feel? Disclose all the duties, functions, and all material facts for the given transaction. If you want to know more about broker tips, have further questions, or need further assistance on how to sell a business, please contact us at info@Bizworldusa.com or 415-234-8833 and one of our experienced professionals will contact you. Copyright © 2009-2019 Biz World USA., All Rights Reserved.